We just received the sad news that Anson Rainey passed away early this afternoon. He was hospitalized about two weeks ago and had been battling pancreatic cancer. The funeral will be held at the cemetery in Barkan at 12 pm tomorrow (Sunday, Feb. 20). 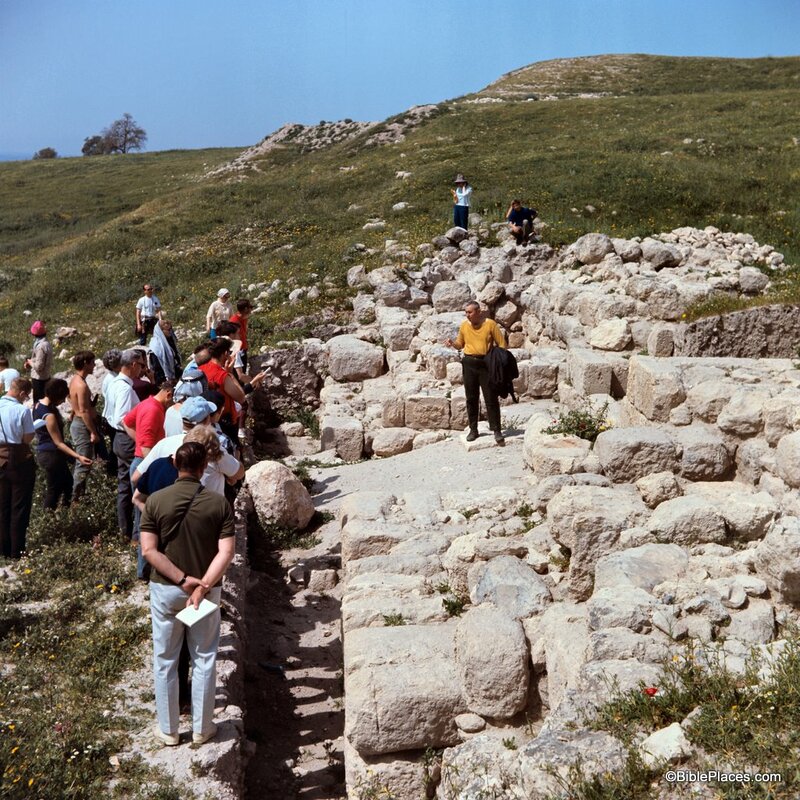 Rainey is familiar to most readers of this blog for his enormous contributions to historical geography and to the study of the Amarna letters, but to many other areas as well. He was responsible for training several generations of students who have become our teachers, or even our teachers' teachers. He will be greatly missed. A biography and list of Rainey's publications can be viewed at his Tel Aviv University webpage. His work, The Sacred Bridge, has been highly recommended before on this blog. 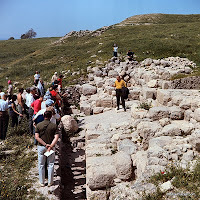 Rainey lecturing at the Solomonic Gate at Gezer in 1968 (David Bivin). Rainey with K. Lawson Younger at Trinity Int'l University, 2010. In the coming days, we'll hear more about his numerous academic contributions, especially those pertaining to ancient languages & geography, but I personally will remember him most for having excavated the first-to-be-published LMLK pithos handle at Beersheba ("Beer-Sheba I: Excavations at Tel Beer-Sheba 1969-1971 Seasons", 1973 by Yohanan Aharoni). And his 1982 article, "Wine from the Royal Vineyards" (BASOR 245; Winter, 1982) will remain a landmark on the subject of LMLK jar handles. Anson Rainey was a rare teacher. He was able to be a bottomless resource at the same time he truly cared that students took some of his knowledge with them. I enjoyed sitting under his teaching only for a few months and had truly hoped to do so again. I hope he had half the shalom as he had knowledge. Follow-up to "Sad News from Cairo Museum"